Awareness of international cultures, languages and experiences is a prominent aspect of an IB education. We asked Diploma Programme graduates to discuss the impact of language, words and actions on their lives and studies. This is the third part of a short series of stories we’re calling Mindful matters. Learn more about the IB Alumni Network at ibo.org/alumni. At the core of the International Baccalaureate’s mission comes International mindedness. This concept has no specific, formal definition because it is described differently by individuals and organizations. However, common, agreed-upon, aspects of this concept involve an understanding for other people’s differences and cultures; respecting, valuing, and appreciating diversity; assuming responsibility to the global community; and acting as global citizens. When I started the Diploma Programme (DP) nine years ago, this concept wasn’t entirely new to me. I grew up at an international, bilingual school which had already ingrained and fostered such morals of respect to others and to their differences, and celebrated diversity long before implementing the programme. However, my understanding for international mindedness was limited to a specific community of students, where we got to apply this concept practically in different school-related and extracurricular events, like the Model United Nations and the Theory of Knowledge (TOK) conference. The limitation was presented in the depth of the discussions carried out, as usually such discussions were framed by specific, defined topics related to the theme of the event. Personally, I never got to discuss broader issues on a larger scale that involved a wider understanding of this concept. The first time that I felt I had to put this skill to test was when I moved abroad five years ago to do an obligatory exchange program in Germany. Getting out of my comfort zone and living in a community which was new to me, where I had to build a foundation for myself from scratch, was the right medium for such broader discussions. I was encountered with questions related to my culture, religion, and lifestyle to answer. I found myself in a position where I had to break stereotypes, justify beliefs, and learn new ways of explaining topics to people based on intercultural understanding and mutual respect. I had to learn how to take off my cultural lenses and wear those of others to understand where their opinions and beliefs were coming from. I had to rely on actions more than words to break stereotypes and form long-lasting relationships. At the same time, I learnt how to value and appreciate each person for their own personality—rather than where they are coming from or what they believe in—something which I had the foundation for already and got to work on while living abroad. Five years later, I personally believe that International mindedness and living abroad go hand in hand; you need one for the other. In my case, I got to implement international mindedness when I moved abroad. It instilled me with a rich experience and a wider understanding for intercultural topics that reinforced my personal international mindedness, which I consider one of my favourite skills that has helped me to diffuse into a multicultural society like that of Germany. In addition to that, I got to develop an interest for cultural differences and studies, and to participate in other exchange programs with the same drive and interest of learning new cultures. Nine years later, I’d like to think of international mindedness as a jacket full of pockets that each person wears. With time, you empty some pockets which you’ve held on for a long time, fill new ones with new ideas and perspectives, and decide to keep ones as they are. But it’s one which we all must wear as a basic item for communication and understanding in the 21st century, where the world is nothing but a small village! 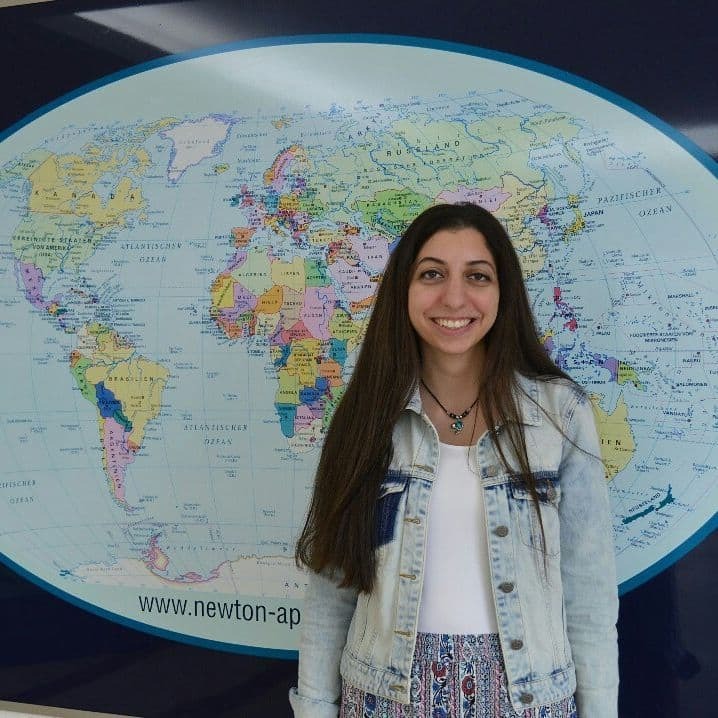 Aseel Al- Nasser completed her IB diploma at Mashrek International School in Amman, Jordan. She was awarded a bilingual diploma in the May 2009 session with a score of 42 points. She recently finished her Master’s degree in Biomedical Engineering at Hochschule Furtwangen University (HFU) in Germany, and is currently on the lookout for a job in her field of study. Aseel is passionate about education and was a member of the IB Alumni Advisory Council for the years 2014-2015. Aseel enjoys reading, traveling, and Zumba dancing.